Etsu (Kyoto, Japan) on 21 April 2017 in Landscape & Rural and Portfolio. 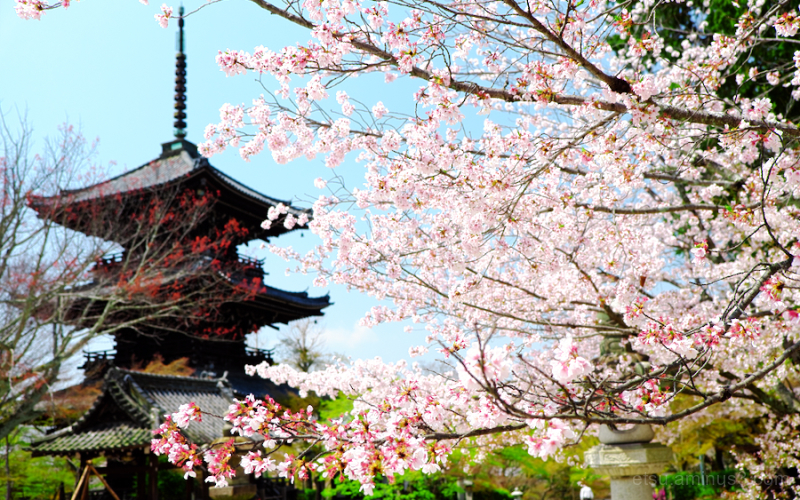 Beautifully composed with the gorgeous cherry blossoms that seem to be reaching out to the temple. Beautiful! Love the composition and the contrast between temple pagoda and the blossoms.